With 2008’s fantastic Olympic Games behind us we now look forward to 2012 in London. As a Brit – and a pessimist – I speak for a lot of my countrymen when I say that I fear we’ll fail to live up to Beijing’s lofty standards, and perhaps make fools of ourselves in the process. 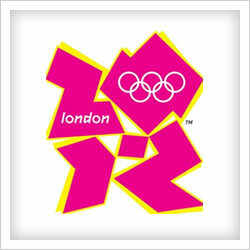 We made an early start – just look at London’s hideous, almost universally-detested 2012 Olympic logo. It was unveiled to much ridicule and and cost a staggering £400,000! Not all Olympic logos are such wastes of money – lets have a look at how other Olympic hosts fared.